The best way to stop security breaches from happening is to invest in both audio and visual security features! 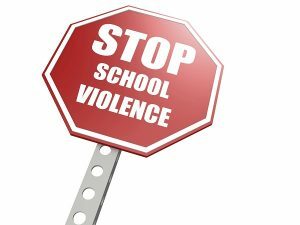 Over the last few years, unfortunately, school violence has been on the rise. In fact, the increasing school shootings have created more interest in building more appropriate security systems to prevent these heinous crimes from happening over and over again. As a result, more and more school systems are integrating both video and audio security systems to protect campuses from any possible threats. When it comes to combining audio and video into security systems, there is a myriad of benefits associated that can immensely help schools stay safe. Beyond detection, audio monitoring can easily create incredible opportunities for preventative measures. In fact, by installing and implementing audio and visual technology in school systems, like two-way audio, it can be an incredible asset for school officials trying to keep students and staff safe. With this type of technology, staff members can easily see and screen visitors before they even enter the building. Upon approaching the entrance, the push button can be used to determine the identity of the visitor from the outside. Once the switch is activated, a pop-up window on the school security video screen in the central office is also enabled. This pop-up window provides a visual identification of the individual. The combination of the audio and visual identification is a tremendous asset for school security overall. For school systems looking to have impeccable security measures, audio analytics can really do wonders. In fact, since schools continuously deal with risks, threats, and other breaches, having something beyond just video cameras is a beneficial tool to use to keep school campuses safe and secure. In the end, it is imperative that all school officials take a long, hard look at how they can improve their security measures to protect students and staff alike. With audio monitoring becoming a much more standard form of security, school systems can really take advantage of the incredible technology that is currently available. At the end of the day, security systems need to start becoming a lot more proactive instead of reactive to have a significant impact towards reducing threats and breaches to school security. This entry was posted on Thursday, October 5th, 2017 at 8:34 am. Both comments and pings are currently closed.